An LD50 value is the amount of a solid or liquid material that it takes to kill 50% of test animals (for example, mice or rats) in one dose. This is closely related to the LDLo value which is the lowest dosage reported to have killed animals or humans. 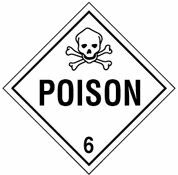 LC50 (50% lethal concentration) is a related term used for gases, dusts, vapors, mists etc. Typical units for LD50 values are milligrams or grams of material per kilogram of body weight (mg/kg or g/kg, recall that 1 kg = 2.2 pounds). Never be exposed to an LD50 dose of a hazardous chemical -- by definition, there is a 50% chance this will kill you...and if you survive you're not going to be in good shape.